Posted on Friday, February 22, 2019 by "K". There will be a total of nine online bracelet events to be held for this year’s World Series of Poker, though it’s not yet confirmed whether players from New Jersey can join the poker festival. The World Series of Poker held its very first gold bracelet online event back in 2015. Since then, there’s a total of nine bracelets and over $10M in prize money that have been awarded to players on WSOP.com. It was announced yesterday (February 21) that there will be nine bracelets up for grabs this 2019 WSOP. Posted on Monday, June 18, 2018 by "K". 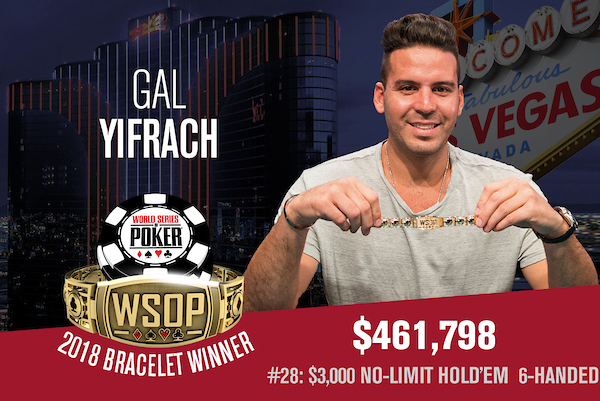 Gal Yifrach, born in Israel and now living in Los Angeles as an entrepreneur, has defeated an entry field of 868 players to secure his very first WSOP bracelet and a nice sum of $461,798 at the 2018 WSOP Event #28: $3,000 Six-Max No-Limit Hold’em event. This is the biggest score to date for the 31-year-old entrepreneur, whose biggest previous cash came from a win in the 2017 WSOP Circuit Bicycle Casino $3,250 buy-in NLHE event for $90K. 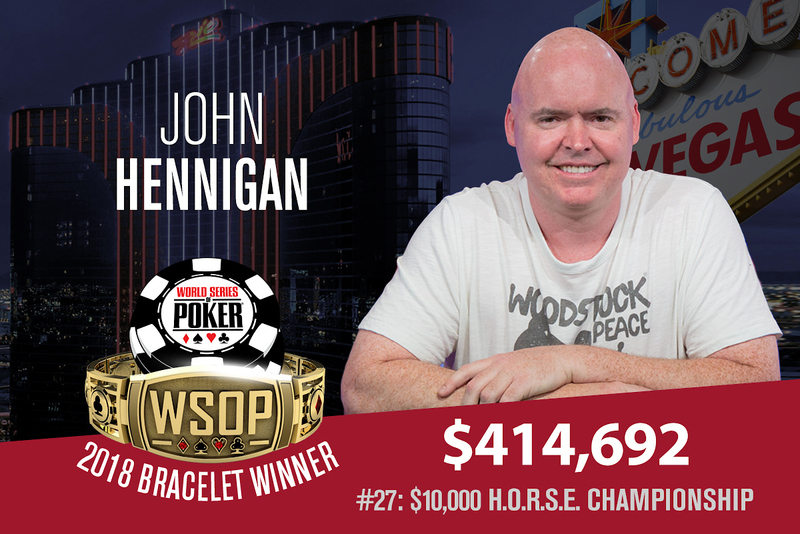 John Hennigan claims his 5th gold bracelet and a nice sum of $414,692 in this year’s WSOP Event #27 $10,000 H.O.R.S.E., after he successfully outlasted a field of 166 players. The 47-year-old poker pro now is in rank with the likes of Allen Cunningham, Berry Johnston, Daniel Alaei, David Chiu, Gary “Bones” Berland, Jason Mercier, John Juanda, Scotty Nguyen, and Stu Ungar as a five-time WSOP title winner. 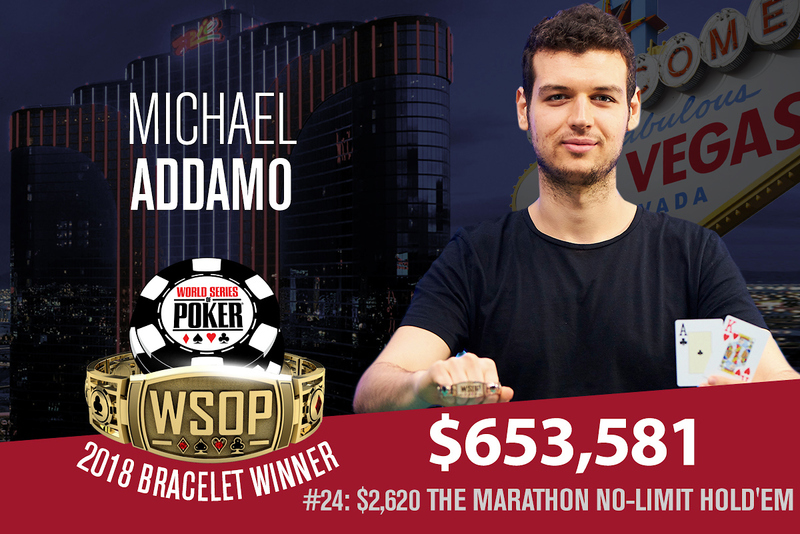 Event #24 $2,620 The Marathon No-Limit Hold’em of the 2018 WSOP has been won by Australian Michael Addamo, who now can join the roster of first-time WSOP bracelet winners. The five-day poker grind featured players starting the event with 26,200 in chips and competing with 100-minute levels. Just a bit down from last year’s 1,759 player field, the 1,637 entries created a prize pool of $3.8 million. Posted on Wednesday, April 25, 2018 by "T". 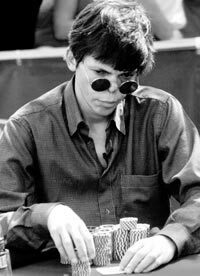 While many people in the poker world consider Stu Ungar to be one of the greatest poker players ever, few can dispute he was definitely the greatest No-Limit Hold'em player in the history of poker. According to Wikipedia, Stuart Errol Ungar was a professional poker, blackjack and gin rummy player, widely regarded to have been the greatest Texas Hold'em and gin player of all time. Posted on Thursday, January 04, 2018 by "T". The second largest online poker website in the world, 888poker, has announced at the end of December 2017 that it has signed Swedish poker pro Martin Jacobson as its latest ambassador to the brand. WSOP: Record-Breaking 10th Gold Ring For Maurice Hawkins! Posted on Thursday, April 13, 2017 by "T". 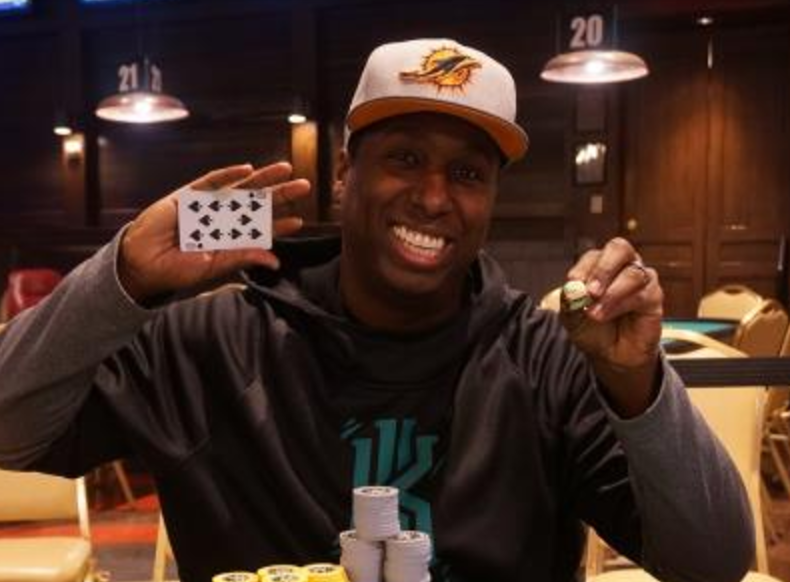 Maurice Hawkins made it into the World Series of Poker history books on April 10th when winning the 2017 Horseshoe Council Bluffs Main Event for $97,561 and, more importantly, his 10th career WSOP Circuit gold ring! Read more » WSOP: Record-Breaking 10th Gold Ring For Maurice Hawkins! Posted on Friday, September 19, 2014 by "T". 2012 World Series of Poker Main Event winner Greg Merson has been seen wearing the WSOP patch since he parted ways with Ivey Poker in June, and that has obviously started some rumors. However, poker fans can now stop wondering and speculating as it has become official that Merson has been signed as WSOP's first Brand Ambassador! "I'm very excited and honored to be representing the most prestigious brand in poker," said Merson. "I look forward to help making this the best online site in the U.S."
"Greg is a terrific ambassador for the game of poker. He loves the game, is passionate and opinionated about its future, and he will help us spread the word about our offerings and ensure the poker playing community has a respected, experienced voice to help shape WSOP moving forward," WSOP's Bill Rini said. Posted on Thursday, July 24, 2014 by "T". 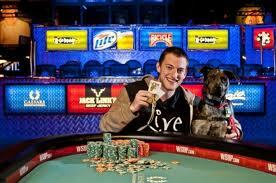 In 2009, at the age of 21, Joe Cada became the youngest Main Event winner ever after besting a field of 6,494 players. Many doubted that Cada was a serious poker player after the big win, but he probably silenced some of the critics when he took down Event #32: $10,000 Six-Handed No-Limit Hold'em Championship this summer. Posted on Friday, October 25, 2013 by "M". None other than maple syrup lover Daniel Negreanu was the last man standing in the WSOPE High Roller event which concluded today after three days of intense battle. 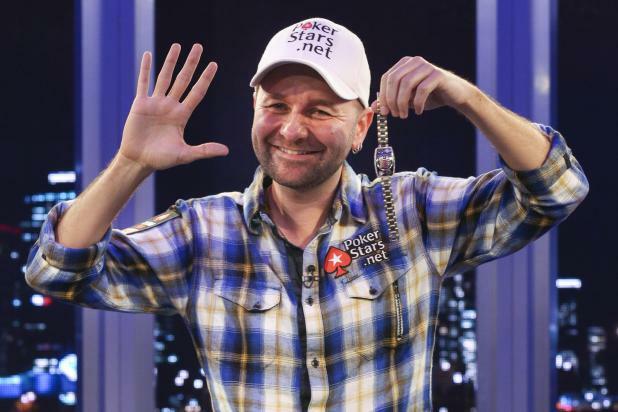 The first place gave Negreanu €725,000 in prize money and yet another WSOP bracelet (his sixth WSOP bracelet in total). The High Roller final table kicked off with Negreanu dead last which he explained to WSOP.com: "I honestly felt like I was going to win [the event] the whole time," Negreanu admitted. "The thing was I played the Main Event earlier and I sat with 10-15 big blinds the whole tournament. I was fighting it, but I ended up getting knocked out 25th. Then I thought to myself, 'Eight big blinds? How are they gonna knock me out again?' And once I doubled up and was at about 20 [big blinds]...once I was back in the mix and I doubled up again, I saw the faces, I saw the people looking around. I could sense it and I felt like, here it is, my opportunity to win this thing". The heads-up between Negreanu and Nicolau Villa-Lobos reached its deciding moment when Villa-Lobos went all in holding a pocket of 5's ( [5d] [5c] ) while Negreanu called and showed a pocket of J's ([Jd] [Js] ). Posted on Monday, July 15, 2013 by "M". Day six of event #62 concluded and only 27 players are remaining in this year's main event. The chip leader is Germany's Anton Morgenstern who's previous WSOP record is three cashes and total winnings of $33,206. On second place is Sylvain Loosli (France) with a chip difference of 7,830,000 from Morgenstern's chip count of 21,955,000. Can anybody stop Viktor "Isildur" Blom?? Posted on Tuesday, July 09, 2013 by "J". While most of the bigtime pros is in Las Vegas for the WSOP Isildur seems to have decided against it, and can you really blame him? Who wants to sit endless hours at the Rio for an entire week just to (maybe) be able to book the same profit as you can over two sessions online? Im guessing Isildur is rubbing his hands in front of the screen and thinking exactly that during these hours. With another great session yesterday evening and night, he reached an overall profit of $ 1,180,000 for the last two days. A number that in itself is staggering high, but will be put further into perspective by the fact that it is more or less exactly the same as one were to win by finishing seventh at the WSOP Main Event. The day before yesterday it was a short session at the No Limit Hold'em tables where the young Swede struck gold, while this time around it's been both NLHE and the expensive fixed limit games. One of the players who got hit the hardest was Kyle 'KPR16' Ray, who have lost approximately $ 425,000 in just over 1000 hands on FLO8 with blinds at $ 2000/4000. Hopefully for all the railbirds the games will keep going and the pots and the swings will be both entertaining and equally enormous. And it dragged on. So much so, that alotta people feared that this year's world championship would be without Denmarks biggest poker star. But now there is good news from Las Vegas. The Dutch poker journalist Frank Up The Woerd, reports that Gus Hansen managed to sign up, and has simply been blinded down during her absence. -17,875 chips to Gus Hansen after not having played all day. What an amazing structure!, Frank Op De Woerd writes on Twitter. - Open Face Chinese $ 3000 per. points must be fun, writes Frank Up The Woerd. Posted on Tuesday, June 11, 2013 by "M". Athanasios Polychronopoulos won his second WSOP gold bracelet by winning event #17 yesterday. In this No-Limit Hold'em event there were no less than 2,105 players and a total prize pool of $2,841,750. Polychronopoulos beat the runner-up Manuel Mutke by hitting a Queen of Clubs on the river, making a two pair - Jacks and Queens, against Mutke's pair of Jacks. 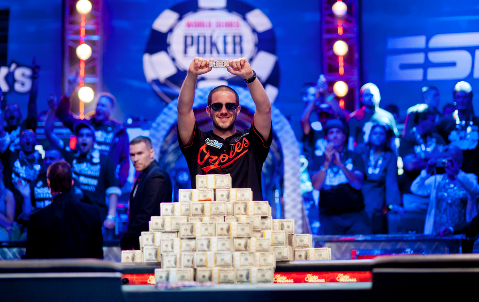 Mutke got $322,908 for the second place while Polychronopoulos earned a healthy $518,755 for winning the event. 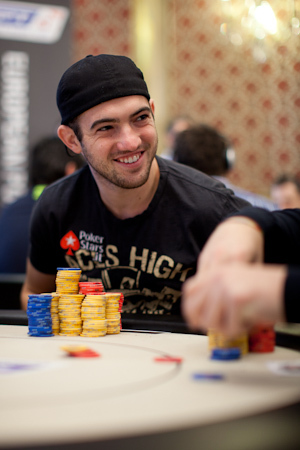 Polychronopoulos won his first gold bracelet in 2011, event #48 $1,500 No-Limit Hold'em, which gave him $650,223. Posted on Friday, May 31, 2013 by "T". 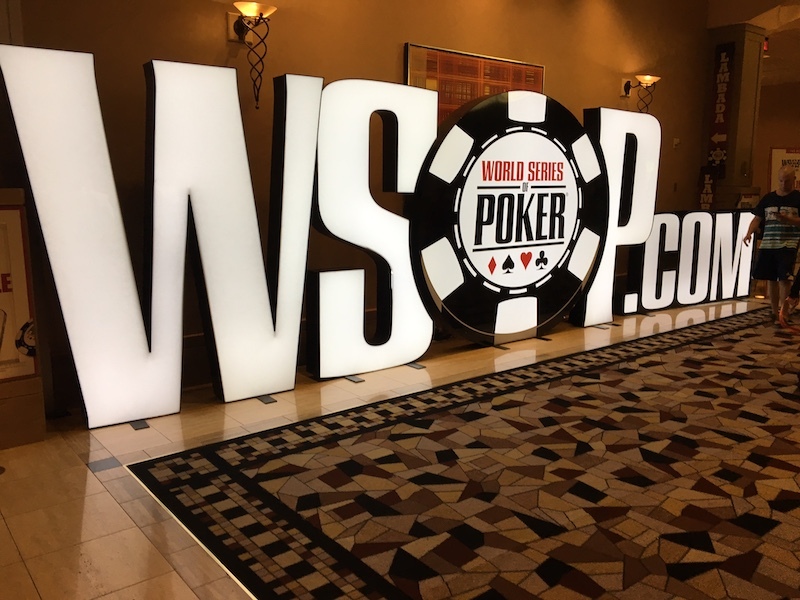 On Wednesday, the 2013 World Series of Poker kicked off at the Rio All-Suite Hotel & Casino in Las Vegas and yesterday we posted our very first update on Event #1 and #2. WSOP posted 33 things to know about the 44th Annual WSOP on its website the other day. We have narrowed it down to the 10 things that we consider to be the most important. 1. This year's WSOP runs from May 29th thru July 15th. The November Nine will play down to a new World Champion November 4th and 5th. 2. This year features 62 bracelet events, one more than offered last year. The bracelets are once again furnished by Jason of Beverly Hills. 'The Godfather of Poker' Retires From WSOP? Posted on Wednesday, May 15, 2013 by "T". 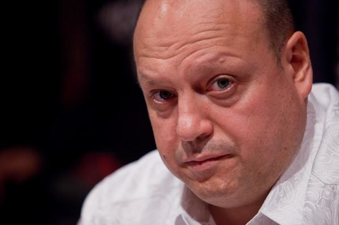 Read more » 'The Godfather of Poker' Retires From WSOP? Posted on Tuesday, April 16, 2013 by "T". On Monday, Team PokerStars Pro Daniel Negreanu took down the WSOP APAC Main Event for AUD$1,038,825 and received his fifth WSOP gold bracelet! He outlasted a field of 405 players and had to defeat a tough final table that included big names such as Benny Spindler, Thomas Russel and Winfred Yu. Posted on Thursday, November 15, 2012 by "M". Jake Cody is back on the free-agent market again. The 24-year-old Brit joined PKR last November after winning the $25,000 NLHE Heads-Up event at the 2011 WSOP to complete poker's triple crown (EPT, WPT and WSOP titles). He was the biggest name of Team PKR Pro during the year he represented PKR online and in different tournaments around the globe. 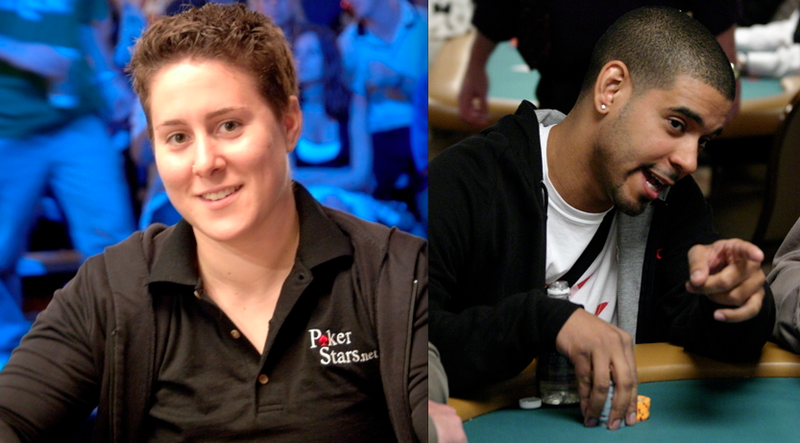 It will be interesting to see if PKR will look for a new superstar in the poker world to join its Team PKR Pro, which today consists of four members: Vladimir "Beyne" Geshkenbein, Sofia "wellbet" Lövgren, Scott Shelley and Marc "Waswini" Bariller. Posted on Wednesday, October 24, 2012 by "M". Greg Raymer followed up his great success on the 2012 Heartland Poker Tour with his third win on Monday's event at the Prairie Meadows Racetrack Casino Hotel in Altoona, Iowa. Raymer was the last man standing out of a field of 185 participants. He left the event carrying a bag weighing $72,089. This was Raymer's third win on the 2012 HPT. The previous wins on the tour were at the Route 66 Casino Hotel in Albuquerque, New Mexico and River City Casino in St Louis, Missouri. 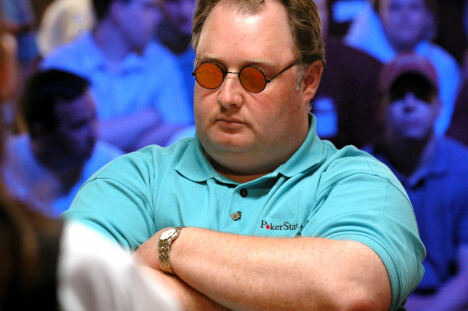 Greg Raymer is the 2004 WSOP Main Event winner. He has a total of $7,217,206 in live event earnings and his online earnings are estimated to $184,823. His nickname "Fossil Man" comes from his hobby of collecting fossils which he often use as card protectors. Posted on Friday, October 19, 2012 by "M". 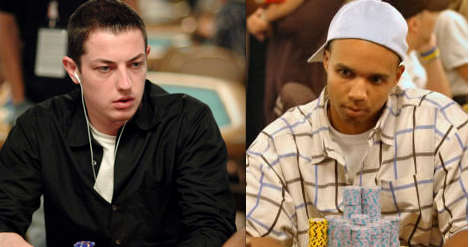 Poker Hall of Fame recently announced that Eric Drache and Brian 'Sailor' Roberts are the 2012's inductees. There will be an official cermony held at the Rio in Las Vegas just before the final table of the WSOP main event kicks off on October 30th! Brian “Sailor” Roberts earned his nickname from serving in the U.S. Navy during the Korean War. 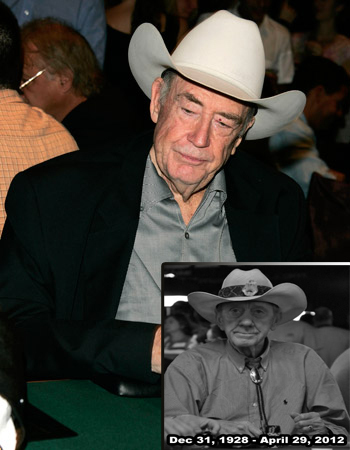 As a poker player he travelled alongside Doyle Brunson and Amarillo Slim. 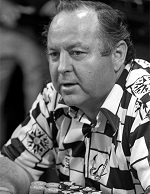 He won two WSOP bracelets in his career: 1974's Deuce to Seven Draw event and the 1975 Main Event. He passed away on the 23rd of June 1995. Eric Drache is mostly known for his contribution to poker as a poker manager/cardroom manager even though he is a pretty successful seven-card stud player. He finished on 2nd place three times in WSOP stud events: 1973, 1981 and 2009. According to wikipedia, Drache invented satellite tournaments and ante structures among other things. Posted on Thursday, August 02, 2012 by "T". Poker pro Ryan Young passed away on Monday at the age of 28. There are very few details of Young's death, but most sources claim that he died in a car accident. 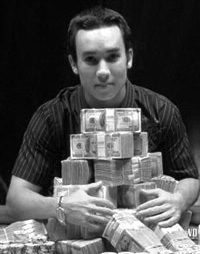 Young was a well-known face in the poker community for his fantastic achievements at the World Series of Poker, where he has cashed 12 times and won 1 bracelet (2007 WSOP event #35: $1,500 No Limit Hold'em). Posted on Wednesday, July 18, 2012 by "T". It was Valentine's Day in Februrary this year when 25-year-old poker pro Jason Somerville revealed to the world, in a blog post, that he was homosexual. In a recent interview, Somerville talked about why he decided to make the announcement at that time. Posted on Friday, June 29, 2012 by "M". Thursday night concluded event #46, the $2,500 buy-in No-Limit Hold’em tournament, and the winner was the firstime WSOP winner Joey Weissman. He left the final table with $694,609 in prize money and his first WSOP Gold Bracelet. The 24 year old american has a WSOP record that shows two cashes from last year's No-Limit Hold’em #28 in which he earned $11,407 for finishing on the 44th place and event #20 where he ended up on the 74th place and won $4,572. Event #46 had 1,607 entrants and the final table went on for more than nine hours. 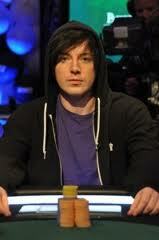 The runner up was the french player Jeremy Quehen who was chasing the first french WSOP win in 2012. 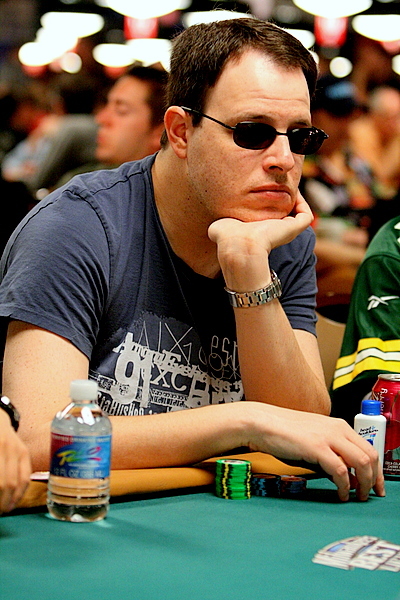 It was the first time Quehen cashed in the WSOP, after the duel that took nearly three hours. His 2nd place gave him $429,535. Posted on Wednesday, June 27, 2012 by "M". The 6th Italian to ever win a Gold Bracelet in the history of the WSOP was declared the winner of the $1,000 No Limit Hold'em event #44 which concluded late on Tuesday eve. Rocco Palumbo of Genoa was the last remaining player of the 2,949 entrants that battled it out for three long days at the Rio All-Suite Hotel & Casino. Besides the Gold Bracelet, Palumbo left the ESPN Main stage with $464,464 in prize money and could proudly enter the exclusive group of Italian WSOP winners which up until Tuesday eve only included Valter Farina, Dario Minieri, Dario Alioto, Jeffrey Lisandro and Max Pescatori. Palumbo's previous WSOP record shows a 81st placement in this year's No-Limit Hold'em event #41 which earned him $8,791. The runner up was the american poker pro Nelson Robinson whose past WSOP merits dates back to 2009 and includes 6 cashes and total earnings of $262,381. Posted on Wednesday, June 27, 2012 by "J". Posted on Tuesday, June 26, 2012 by "M". Monday night presented two new first-time Gold Bracelet winners in the events #41 & #43. Event #41, the $3,000 Buy-In No-Limit Hold’em, resulted in the 1,000th bracelet to be won in the WSOP history and it was the american, former police officer and Calvin Klein menswear model, Greg Ostrander that walked away with the jewlery but also the amazing first prize of $742,072. Ostrander's WSOP records shows total winnings of $43,968 from 2011 where he ended up in the money in two events: event #58: No-Limit Hold'em Championship where he finished 232nd which gave him $40,654 and a 160th placement in the No-Limit Hold’em event #38 where he earned $3,314. After his win, WSOP.com published a short interview with Ostrander where he answered the question What is toughest -- being a model, a poker player, or a police officer? Ostrander replied: "The toughest is probably a poker player because you don’t have benefits thrown at you. It is a grind, you can have one large score that would set you for life, but if you do not and just have a chunk of scores the variance is so great and that is why people have a lot of backers. As far as job wise, being a cop is probably the best because financially it was fine, benefits were awesome, you had vacation and everything was there for you. But the modeling was toughest -- being out in front of people in my underwear was kind of tough!" Event #43, the $1,500 Buy-In No-Limit Hold’em, gave the 22 year old, Broklyn born Henry Lu his first Gold Bracelet and a healthy cash prize of $654,380 for being the last man standing out of the 2,770 entrants that battled it out for three days. Henry Lu's previous WSOP merits shows a total of $15,558 in winnings from last year's event #54: $1,000 No-Limit Hold’em in which he finished at 79th place and the $1,500 No-Limit Hold'em event #18 that placed him on 56th place. The runner up was UK's Neil Channing who, according to WSOP.com, "barely missed the chance at what would have been his long-awaited first WSOP victory". Mr. Channing's WSOP past dates back all the way to 2001 and shows total WSOP earnings of $768,531. Posted on Friday, June 22, 2012 by "M". Thursday night delivered some of the best poker action so far in the 2012 WSOP. It was the No-Limit Hold'em Shootout event that brought on some of the loudest crowds at the Rio All-Suite Hotel & Casino in this year's WSOP. UK's Craig McCorkell was the last man standing after the battle. The victory resulted in 2012's first British Gold Bracelet and a healthy bag of money for McCorkell - $368,593. WSOP.com reporter Nolan Dalla explains the events: "the most stunning turn of events at this year’s WSOP took place when Esfandiari not only lost the chip lead, he was ultimately knocked out of the tournament. All it took were three brutal hands for “the Magician” to completely disappear from the ESPN Main Stage". Esfandiari went all-in with a pocket of 9's facing Jeremiah Fitzpatrick's pocket 7's. The flop showed a 7 and Fitzpatrick, who's best WSOP record shows a 102nd placement in 2009's No Limit Hold'em event 11, terminated Esfandiari. Fitzpatrick was in a great position for the Gold Bracelet. Thirty minutes into the heads-up between Fitzpatrick and McCorkell, the chips had turned to McCorkell's favour. The final hand gave McCorkell the bracelet with a pair of eights. Nolan Dalla describes the last hand of event 36 as "Oddly enough, the final board was an inappropriately anti-climatic swan song of a thrilling final table that included nine full hours of ecstasy, tragedy, jubilation, and heartbreak". Posted on Thursday, June 21, 2012 by "M". The winner of event #34, Naoya Kihara took his nation's first ever WSOP Gold Bracelet last night when he won the Six-Handed Pot-Limit Omaha event and won $512,029 in prize money. The 30 year old Japanease player made his WSOP debut in last year's WSOP where he managed to get in the money by finishing 653rd in event #58 which gave him $19,359. The former school teacher turned poker pro is mostly playing online poker but according to WSOP.com Kihara now "hopes to travel around the world and play in more live tournaments with this victory". At the final table in event #34, Kihara was accompanied by two former Gold Bracelet winners; the 2008 Pot-Limit Hold'em winner Davidi Kitai (finished at 5th) and the No-Limit Hold'em winner of 2010 Jason DeWitt (finished at 8th). 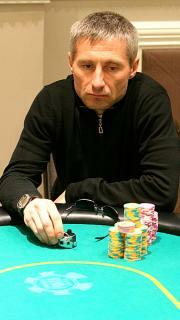 The runner-up was Chris De Maci who's WSOP record shows a 12th placement in 2005's Hold'em event #9. As for the future, Kihara is hoping to get an online sponshorship deal but also, according to WSOP.com, to "become a poker ambassador in his home country, as well as throughout Asia". Posted on Thursday, May 10, 2012 by "T". 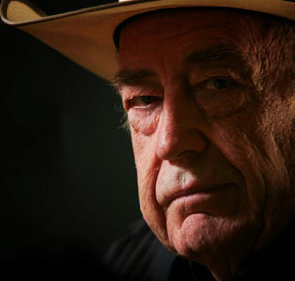 In Doyle Brunson's latest blog "You Only Live once. If you work it right, once is enough" the 78-year-old poker legend writes about his good old friend Amarillo Slim, who passed away last month at the age of 83. Brunson writes, for example, about the phone call he made to Amarillo Slim when he was in a hospice and when the two of them traveled the US looking for poker games to take part in. Below is the full version of Doyle's blog "You Only Live once. If you work it right, once is enough". Posted on Monday, April 30, 2012 by "T". 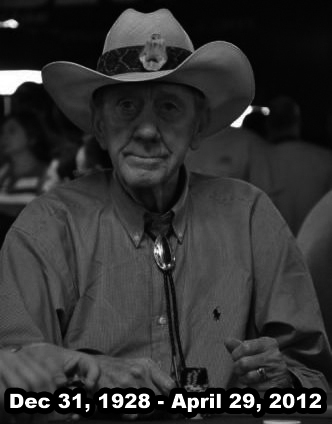 The poker world lost an icon yesterday as five-time World Series of Poker Champion "Amarillo Slim" Preston passed away just after midnight at a hospice near his home in Amarillo, Texas. 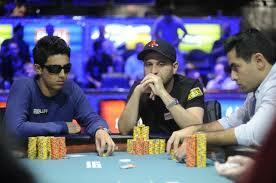 Phil Hellmuth: "Many poker players have taken drugs"
Posted on Thursday, April 12, 2012 by "T". In a recent interview with QuadJack's Poker Radio, Phil Hellmuth, 11-time WSOP Bracelet winner, talked about the drug addiction many famous poker players have/have had. "There's a drug, I don't know the name of it, but it's something like speed. I'm talking about a really heavy drug. Many poker players have taken this drug in the past 10 years. Almost all players who took this drug has won 1 or 2 million dollars over a 6-8 month period. But then the effect of the drug stopped working, which left many of them with a drug addiction. I smoked weed about 25 years ago or something like that. But I'm not a person who's into drugs at all." 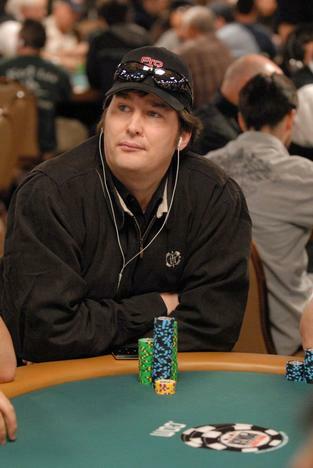 Read more » Phil Hellmuth: "Many poker players have taken drugs"
Posted on Tuesday, March 06, 2012 by "T". World Series of Poker bracelet winner Todd "Dan Druff" Witteles has launched a site dedicated to keep cheaters and fraudsters away from the poker community. The site features a blog from Witteles and a forum where poker players can discuss poker cheaters and how to avoid them. Also, there will be a radio show on the site in the near future. "Why did I start this site? Because I love the game of poker. And because I hate what the scumbags and criminals are doing to it. Prior to the "boom" of 2003, the poker community was small and close-knit. 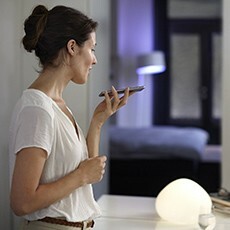 Cheating was localized to a few people engaging in collusion or other small-time scams. Times have changed. Poker has become big business, and the massive amount of money involved has attracted many bottom-feeders of our society," Wittleles writes on his site. Posted on Wednesday, February 08, 2012 by "T". The Russian poker community has lost one of its greatest players as poker pro Nikolay Evdakov passed away on Monday this week. He died at the age of only 47 and no reason to his sudden death has been given. 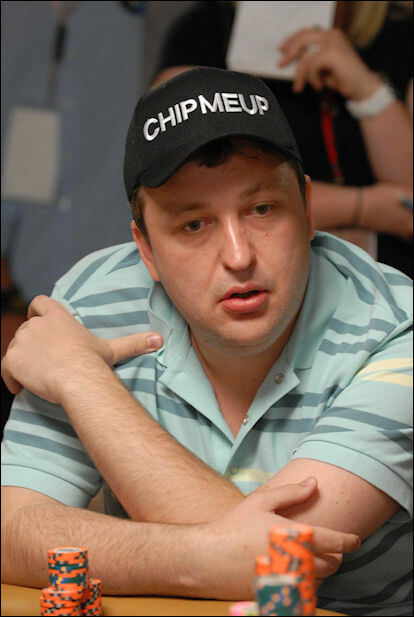 Evdakov made a name for himself in the poker world during the 2008 World Series of Poker when he beat the most cashes during one WSOP record. In total, he cashed in 10 events and his best result was a 14th place in the $10,000 Pot Limit Omaha event. Last year he reached the quarter finals in the WSOP $25k NLH heads-up event, and the year before that he finished 9th in the World Poker Tour Final. The funeral of Nikolay Evdakov will be held in his hometown next Wednesday. Rest in peace! Posted on Tuesday, January 03, 2012 by "T". 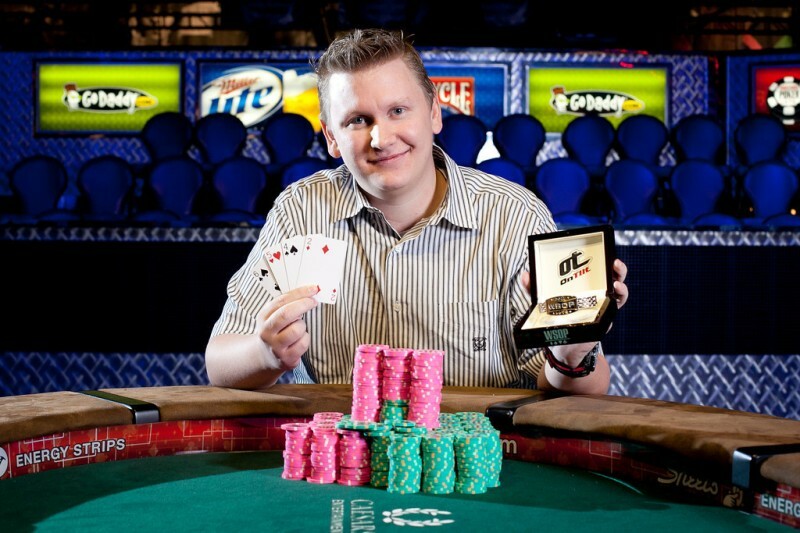 Ben Lamb had a fantastic 2011 with not less than 5 big cashes at the World Series of Poker. A few days ago he was also given the prestigious Player Of The Year title by one of the most popular poker magazines in the world. In total, Ben Lamb has $6,575,016 in lifetime tournament winnings - of which $5,352,970 comes from the 2011 World Series of Poker. In other words, it wasn't a big surprise that he was among the favorites to take home the title. Posted on Thursday, December 01, 2011 by "T". 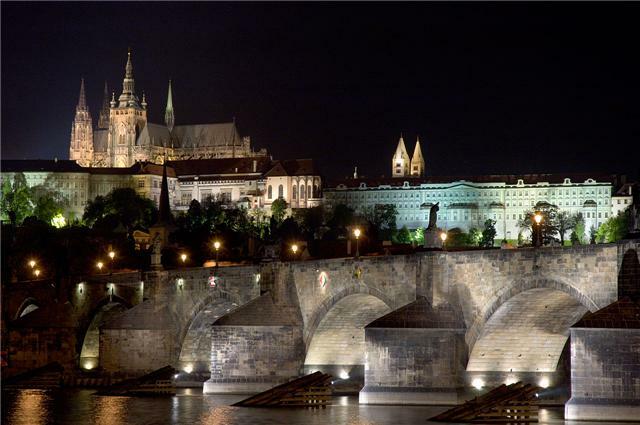 Today an intensive tournament period begins in the capital of Czech Republic, Prague. For 11 days World Poker Tour, European Poker Tour and GSOP Live will be played, and lots of pros are expected to take part. First out is Day 1a of the WPT Prag main event. The buy-in is €3500 and the tournament is a multi entry tournament, which means that players that get knocked out during Day 1a can enter Day 1b as well. Hopefully this will give the tournament a nice prize pool. On Monday, the same day as the WPT final table will be played, PokerStars EPT Prag will kick off and be played till Saturday. And during EPT also GSOP Live will begin. GSOP Live will continue until December 11th. Posted on Thursday, June 30, 2011 by "K". 888poker is hosting a special last chance 99c frenzy tournament, to win a $15,500 package to next week’s World Series of Poker Main Event in Las Vegas. The 99c rebuy/add-on tournament will run on Saturday July 2nd at 21:25 GMT and is sure to be a blast! The winner must be able to travel to the USA next week, but can arrive as late as July 8th if required. The package can be transferred to another 888poker member, but is non-refundable. Posted on Thursday, June 09, 2011 by "T". 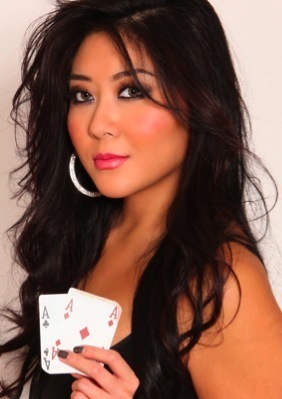 Last week, Maria Ho wrote history when she finished second in the 2011 WSOP $5k NLH event for $540,000. Even thought she didn't make it all the day to the title, the prize money was enough for her to become the women with the single largest cash at a Stateside WSOP event. In total, she has now cashed 9 times at the WSOP with her previous biggest score in 2007 Main Event where she finished 38th for $237,865. Posted on Thursday, February 10, 2011 by "T". A legend and world record holder has left us. 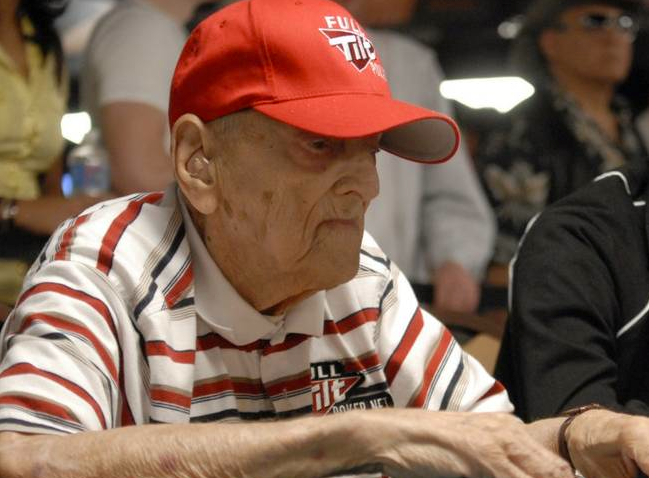 Last Thursday, Jack Ury , WSOP's oldest participant, passed away at the age of 97 in his home in Terra Haute, Indiana. Jack Ury took part in last year's WSOP at the age of 97 and, once again, he became the oldest participant at the World Series of Poker. Jack Ury's most memorable moment, if you ask me, was at the 2009 WSOP Main Event in a hand against Stephen Friedlander. The flop came 7[s]6[d]6[c]. Ury bet 1,000 and Friendlander went all-in. Ury called and Friedlander flipped over 7[h]6[h] for a full house. At that point, everyone thought that Ury's tournament was about to end. Ury waited a while before turning over his cards, telling Friedlander, "You're in trouble", before showing his 7[d]7[c] for a better full house. Jack Ury will be missed and remembered by many! Rest in peace! Posted on Monday, December 06, 2010 by "J". He said it in advance he was gonna get it, but eventually he had to give up. Tony G did not get a hold of Peter Eastgate's bracelet, which famously went under the hammer for the massive amount of $ 147,000. In his most recent blog Tony G says, his bid was well over $ 100,000 but eventually he had to give up, since he after all has his limits. According to Bluff Magazine the bracelet has probably been sold to a poker site, and if Tony G knew that, he probably also realized that the poker site have a greater disposable income than he has. Posted on Wednesday, November 17, 2010 by "J". The highest bid of Peter Eastgate WSOP bracelet is at the time of writing at $ 16,600, but before long Tony G will go in and outbid, he says. He will make the bracelet into a dog collar. It sparked widespread outrage when the Danish ex-world champion Peter Eastgate on Monday announced that he would discard his WSOP bracelet in an auction on eBay. World Poker Tour has after alot of encouragement chosen to expand the tournament series, which now comes to smaller tournaments in the U.S. and in Europe. Posted on Monday, September 20, 2010 by "T". 120 players took part in the WSOPE London £5,250 PLO event and created a prize pool of £600,000. The tournament began on Thursday and finished on Saturday night. Jeffrey Lisandro, the Italian poker pro, played fantastic poker from day 1 to the final table, where he continued playing killer poker and defeated Joe Serock in heads-up. 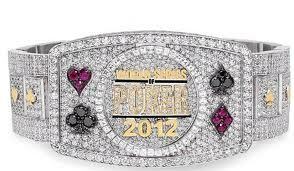 For the win he received his 5th WSOP bracelet and £159,000. Jeffrey Lisandro has been around for quite some time now, however, it was during last WSOP, when he won 3 bracelets, that he really made a name for himself. 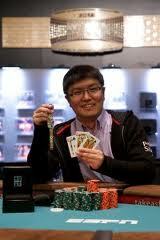 Lisandro is one of a very few players in the world who has a WSOP bracelet and a WSOPE bracelet. Posted on Wednesday, September 15, 2010 by "T". Greg "Fossilman" Raymer, the 2004 WSOP Main Event champ, has been doing very well so far in PokerStars World Championship of Online Poker. He ended up in 13th place in event #25 for $4,000 and made it all the way to the final table in event #27 where he got knocked out in 3rd place ($10,000). 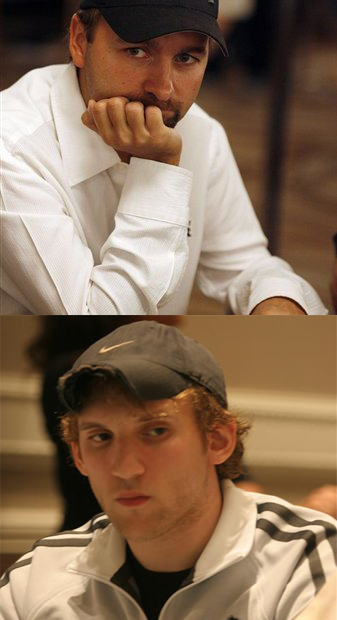 It will be interesting to see if any other big names will have as big success in 2010 WCOOP as Greg Raymer. Posted on Friday, July 16, 2010 by "T". 205 players returned to Amazon Room at Rio Hotel & Casino to play Day 6 of the main event yesterday. At around midnight, the tournament crew called it a day and there were only 78 players remaining. In the lead is the danish poker pro Theo Jorgensen with 9,300,000, and almost 2 million in chips behind him are Michael Mizrachi and John Racener, both from USA. Theo Jorgensen has played extremely well in the past few days and he has been advancing in the field every day. If you ask me, I think that he deserves to be where he is right now. I'm 100% sure he will make it to the final table if he continues playing this well. And who knows, maybe he will be the second dane ever to win a Main Event? Another player to watch out for is the PokerStars Pro William Thorson from Sweden. William has been running extremely well in live tourneys this year and I hope that he will be one of the 27 players who make it to the final day before the tournament goes on a break. Posted on Thursday, July 01, 2010 by "T". Posted on Wednesday, June 09, 2010 by "T". The finnish poker pro Ville Wahlbeck, 34, had a fantastic 2009 with over $1 million in winnings from different live tournaments. He ended up second (after Jeff Lisandro) in the WSOP ranking and he was voted the best live player of 2009 at Nordic Poker Awards. Ville Wahlbeck is one of the most successful poker players ever from Finland. 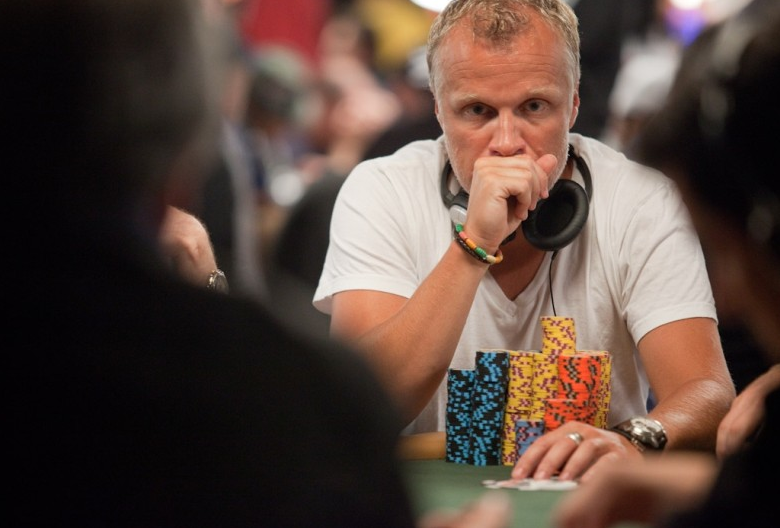 Many compare him and his success with finnish poker giants such as Patrik Antonius and Juha Helppi. Ville has now signed a sponsorship contract with PokerStars and will from now on represent them in different tournaments around the globe. 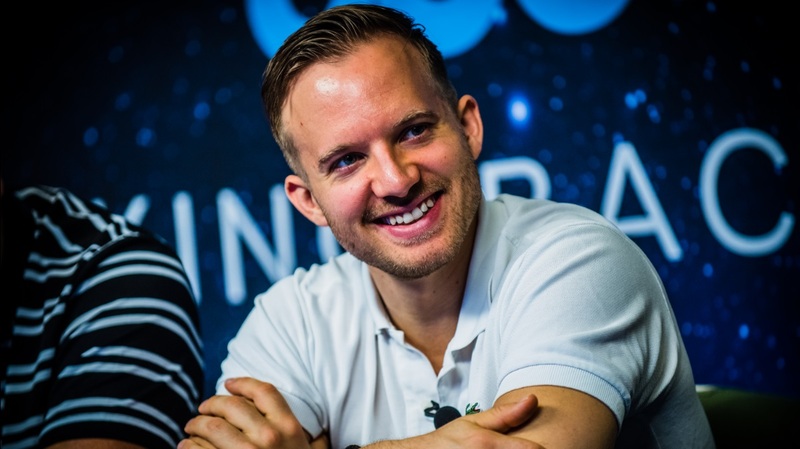 Let's hope that Ville gets a warm welcome from the rest of the PokerStars Nordics (Peter Eastgate, Johnny Lodden, William Thorson, Mats Sundin and Sami Selio) and that his success at the poker tables will continue. Posted on Monday, June 07, 2010 by "K". The BankrollMob & Party Poker WSOP promotion has ended. Around 1500 players managed to "scratch their way" via our daily WSOP scratch game, into one of the daily qualifiers. From the daily qualifiers, 162 players qualified to our "Main WSOP Tournament" which was played yesterday, June 6th. The last player standing was Manuela from Bremen, Germany. Also known as Mama63 on BankrollMob. She won the $14,000 WSOP ticket and will be going to Las Vegas soon for the WSOP Main Event. Posted on Thursday, May 27, 2010 by "T". Missing out on the World Series of Poker for some reason? Don't worry! Tomorrow, Full Tilt's Mini Series of Poker starts and you can take part in it from the comfort of your own home. The Mini Series includes as many events (57) as the World Series in Vegas and over $3 million is guaranteed. The events in the Mini Series of Poker are exactly the same as the real World Series, but the buy-ins at 1/100 of the corresponding WSOP event. In other words, you get some really good value for your money. We offer 27% rakeback and an exclusive $600 deposit bonus at Full Tilt Poker. Posted on Monday, May 24, 2010 by "K". In case you've been living under a rock for the past month, or if you're new here, it's about final call if you want to participate in our WSOP promotion where you can scratch your way to a free WSOP ticket and other great prizes.